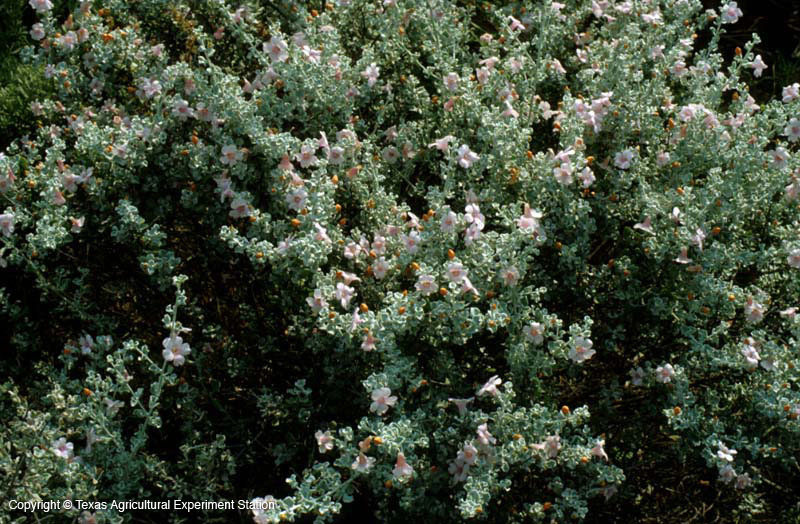 Cenizo is one our most outstanding native plants, a medium-sized shrub with a compact form, delicate silvery to gray-green leaves, and stunning displays of prolific purple blooms from summer into fall. 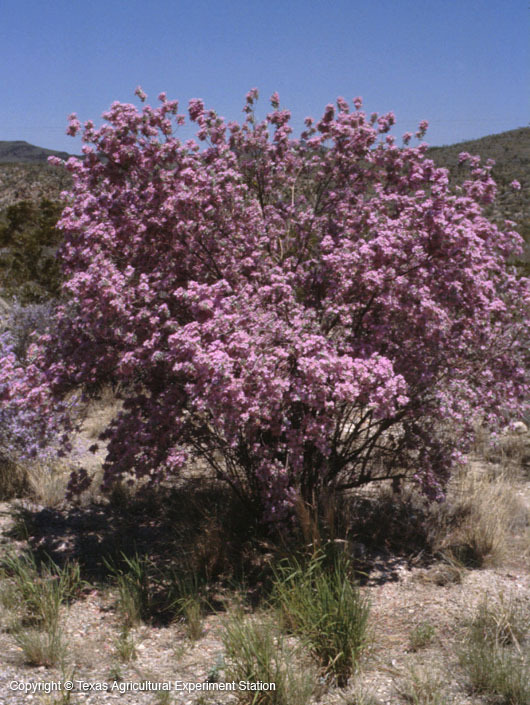 It is sometimes called "barometer bush" because flowering is triggered by humidity or high soil moisture after rains. 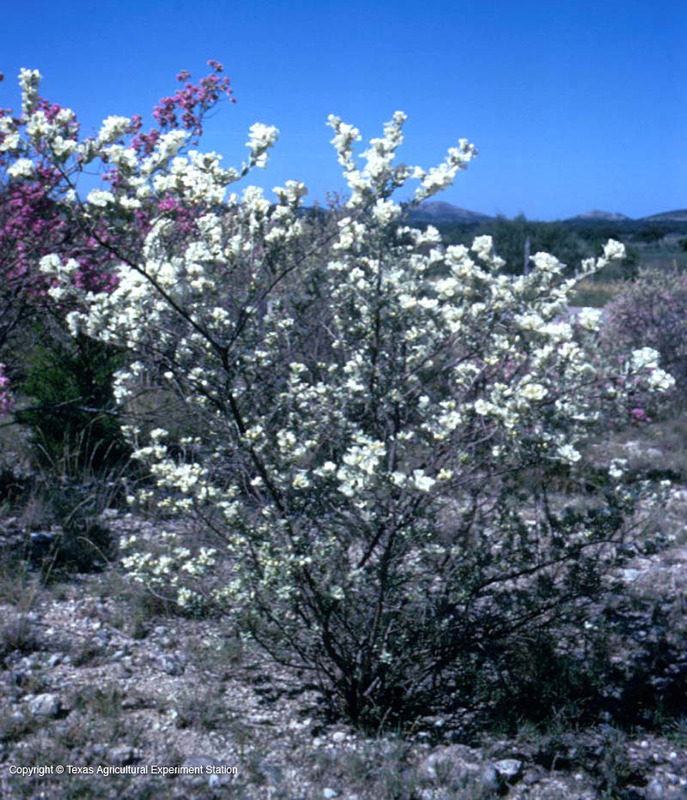 Cenizo's native range is from Northern Mexico through the Rio Grande Plains and Trans-Pecos, sparingly in the Western Edwards Plateau, into New Mexico. It grows on rocky caliche slopes and stony, calcareous soils. It is extremely drought and heat tolerant and maintenance-free once established. Cenizo is often used along highways and in commercial landscapes because of these qualities. However, to thrive in a landscape, it must have full sun and very well-drained alkaline soil. Although watering in dry summer months will make it grow faster, overwatering or poor drainage will quickly kill it, and shade will promote leggy growth and less flowering. 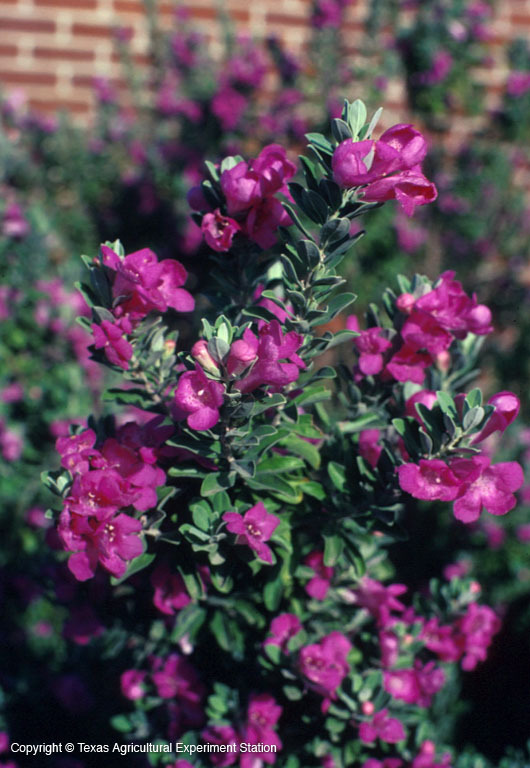 In areas of high rainfall or poorly drained soil, cenizos should be planted in raised beds. If they are planted in acid soils, dolomitic limestone should be added. Fertilizing is unnecessary. Cenizos are not susceptible to pests or diseases other than cotton root rot, which well-drained soil will discourage. Sheared cenizo hedges are a common sight, especially in municipal plantings, but maintaining its natural shape with only light pruning produces a healthier and more aesthetically pleasing shape. This can be done in late winter or early spring before buds form, and possibly again in early summer. 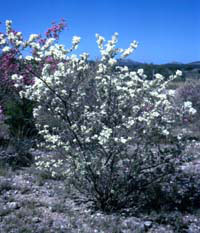 Cenizos are hardy to 5 degrees F. Leaves may become sparse in winter but will reappear with warmer weather. In 1982 Benny Simpson released two unusual selections: 'White Cloud', with white flowers, and 'Green Cloud', with green instead of silver leaves.